This Wednesday through Sunday, six students and numerous teachers travelled to Nashville, Tennessee, for the 25th annual Student Diversity Leadership Conference (SDLC), a multiracial and multicultural gathering of upper school students from around the country. “The conference is for students at independent schools who want to discuss topics such as identity, justice, and community,” ICIE Associate Sharina Gordon said. “This year, the theme is listening for the grace note, which means building cross-cultural communication that students can apply back at school,” she said. 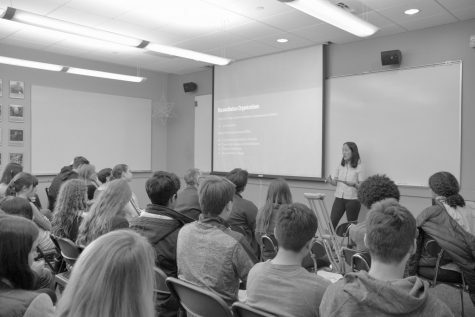 According to the SDLC website, participating students learn strategies for practicing social justice through dialogue as well as how to be an ally. The school has attended the conference for over five years, and each year about 1,600 students attend the conference in total, Gordon said. The conference began with “empowering” speeches from guest speakers, Jayla Thomas (11), who attended this year’s conference, said. According to the SDLC website, such speakers included Lisa Ling, a CNN correspondent, and Marian Wright Edelman, the founder and president of the Children’s Defense Fund. 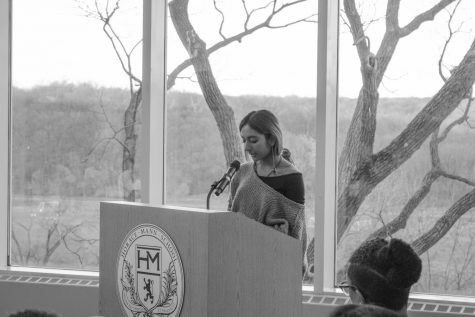 Students were then split into both “family groups” of about 50 people as well as racial and cultural affinity groups over the course of the conference in order to allow each student’s voice to be heard, Gordon said. “Conversation during the affinity groups was so natural because everyone shared similar values,” Eunice Bae (12), who attended the conference last year, said. 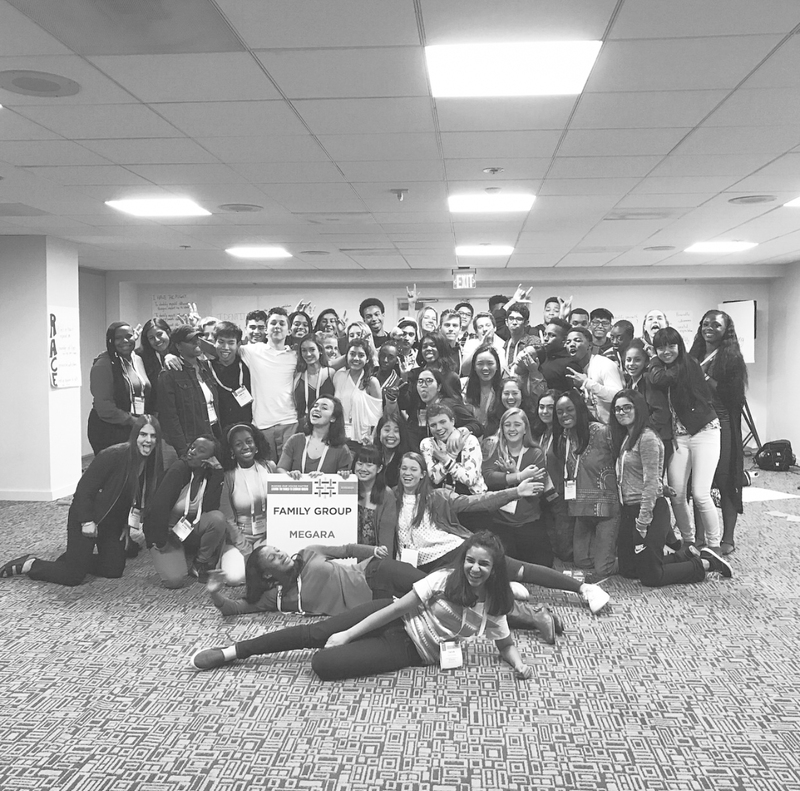 At the conference, students have the opportunity to “discuss subjects such as social politics, gender, identity, race, and many other aspects of people’s experiences in life,” Jack Eagan (11), who attended last year’s SDLC conference in Anaheim, said. “This should be mandatory,” Charles Simmons (11), who attended the conference this year, said. “It’s essential to take time for opportunities like this where you get to learn more about your peers and yourself,” he said. Topics discussed included critical core identifiers like race, gender, sexual orientation, age, family structure, and socio-economic status, Thomas said. Students shared how such factors affected them both at school and at home, Thomas said. “I was able to meet a lot of individuals across the country, and we had hour-long presentations from social politicians, which I really enjoyed,” Eagan said. Eagan decided to attend the conference last year because “we live in a very tight-knit community, but there are so many people across the country who I hadn’t met, and I wanted to hear about their experiences as individuals from different backgrounds,” Eagan said. “It’s been nonstop talking and reflecting and sharing,” Thomas said. 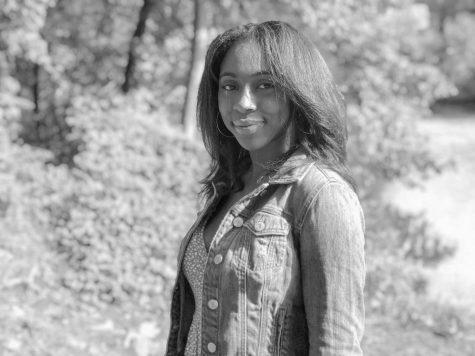 “I think it’s so great to be surrounded by people who have very similar experiences because many of the students here are people of color from predominantly white institutions,” she said. “Although I do come from a school that is very accepting of different races and cultures, the conference was eye-opening,” Bae said. “It made me wonder if there are people at the school who have similar problems but feel afraid to discuss them,” she said.